That was an evening filled with impeccable singing, enthusiastic and energetic music and stage set full of symbolism mirroring challenges and fragility of human soul. 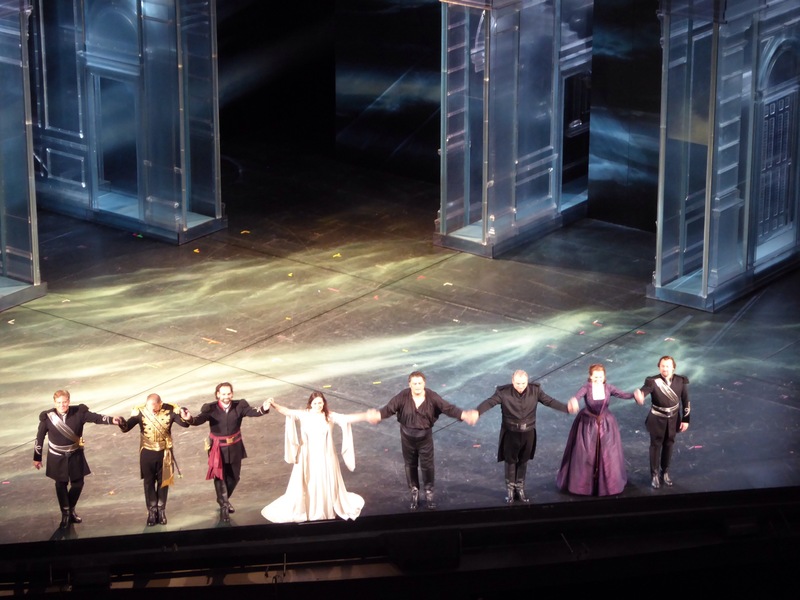 This production has a lot of characteristics that makes it unique, as it is first white faced Otello in the Met’ s history, the production by Bartlett Sher is fine blend of conceptual and historic, and the cast represents outstanding performers from Latvia, Bulgaria and Serbia in the lead roles. For me this was absolutely unique performance, as it was my first visit to The Met, thus hyped up emotionally and eager to absorb the smallest detail by all 5+ senses. The opening of the performance impresses with video projection and lighting effects, which supports the staging throughout the show. The symbolism of forces of nature, being those either ocean waves at storm, dark thunderous clouds or glimpses of moonlight or northern lights creates strong relation to inner emotional world that can go as wild as nature’s forces and become overwhelmingly threatening. The sets are minimal and conceptual, the shifting and moving glass palace carrying symbolism of transparency and fragility, at the moments becoming either shaky surface to walk on – in – around or illusion of safety or intimacy as in bedroom scenes. When glass castle in Act 3 creates monumental structure lit up in red, we know that emotions are in flames, and climax is near. Thus, giving top mark to the creative team! 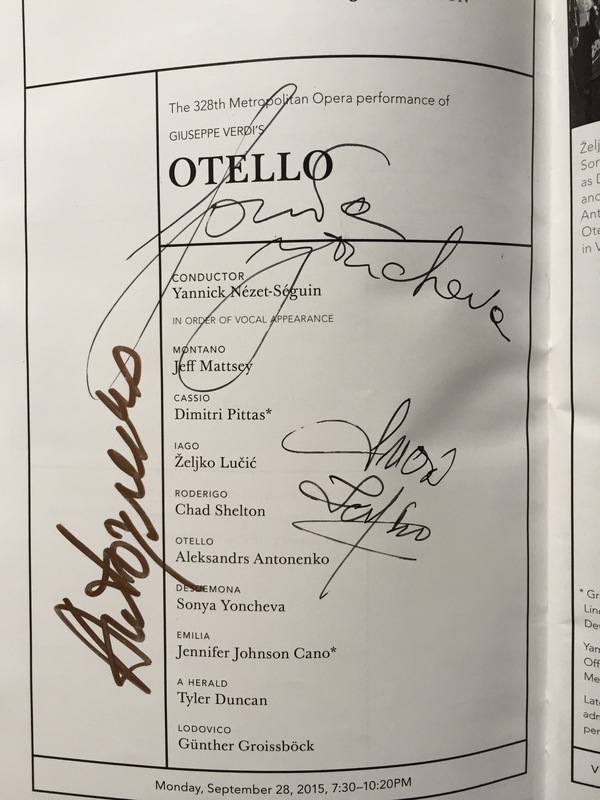 The publicity created about the newspeace of main protagonist Otello not wearing blackface for this production, and being it the first time of The Met history, has heated up debate much wider than traditional interpretation of the character would have triggered. The main message here is that you do not need to be a moor or visually distinctive or peculiar member of the society to face difficulties of acceptance and earning respect and trust. Otello is pushing boundaries of acceptance, – as a national hero who has earned admiration through numerous battles and victories he still has internal misbelief that anyone can be trusted, his life is still the battlefield. Nevertheless, he falls for fake trust in Iago, someone he has known through fights and extreme circumstances. He does not have trust in Desdemona, or unconditional love – as soon as he feels threatened, he acts like on battlefield: kills the enemy or traitor. He is doomed for destruction as gets trapped between heaven and hell, and gives in for manipulation rather than love. 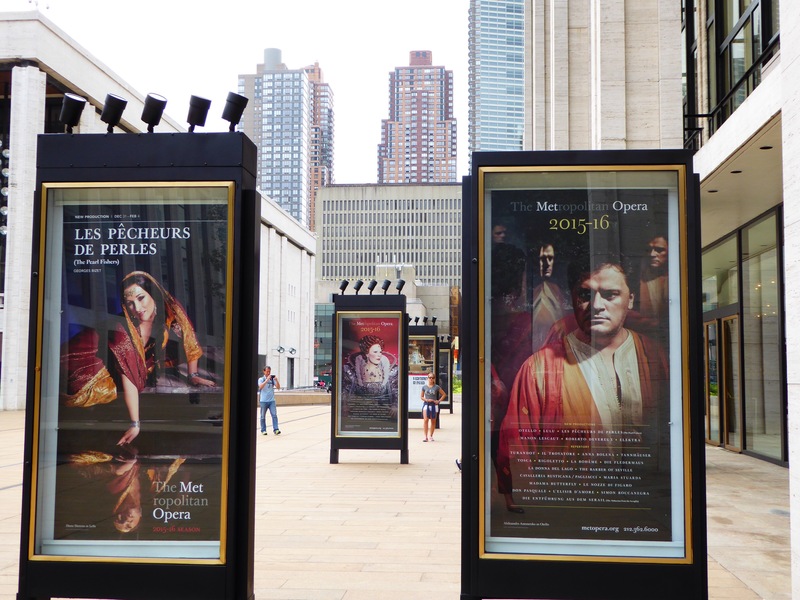 Otello asks himself why God has chosen such painful challenge for him, rather that taking away the fame and glory, and there is no answer coming .. One of the billboards in front of the Met states the jeleousy destroys your soul – and the performance leads us through the downfall convincingly. Role of Otello is one of the most difficult ones in any tenor’s repertoire, requiring both vocal stamina and emotional strength to go from dominating heroism through emotional turmult into destruction of the soul and life. Aleksandrs Antoņenko has it all – impressive masculine physical presence, vocal ability and acting skills to depict the fall from fame to abyss. His interpretation of Otello focuses on inward suffering, on relentless questioning if he has earned respect and love, if he has been accepted. Vocal performance of Antoņenko usually is pitch perfect, sometimes there is noticable constriction in the higher register, which I did not hear last night at all – no forced notes. Critics of the prima performance noted some flaws, and even if after performance the cast members shared their worries of possible shortcomings of the particular night due to sudden weather changes (the heat came back with high humidity), it has not been the case as singing was impeccable from all. Dramatic ability of Antoņenko also has been questioned at times, nevertheless I was very positively surprised as even if he needed some time to warm up, starting from duet with Desdemona he opens up and delivers engaging, convincing acting. The final act is a blend of hatred, anger, remorse and courage, and here Antoņenko masterfully depicts all the rollercoaster of emotions. Bravo! Desdemona as the character created by Boito libretto from Shakespearian origin is unique blend of independence and sensitivity or vulnerability. She falls a victim to patriarchal world, her only guilt being courage to speak up for a friend. Sonya Yoncheva creates feminine yet strong character, her fragility in the Willow song and Ave Maria painfully touching. Yoncheva’s soprano is immensely beautiful, both pure and clear, plush and dramatic when required. This is a role to demonstrate all her vocal ability at its best. 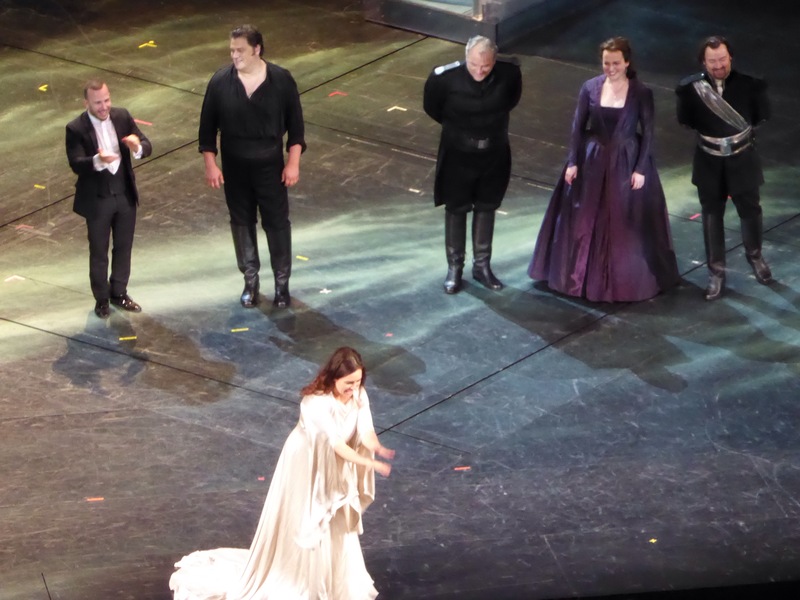 Yoncheva is also a great actress, her stage presence impressive, and interactions with Otello have multitude of emotional colours. As for stage presence and chemistry of both main protagonists, the acting was convincing and organic. I am very happy to see her development since saw her for a first time a few years ago at the ROH Faust as Marguerite being ad hoc replacement for Netrebko. Watch out for Sonya – she is the brightest rising soprano today! Brava! Željko Lučić as Iago was one of the doubts regards casting choice, especially after congenial Macbeth last season. He was actually ideal fit for the role, creating his character with such deep and detailed understanding of the origins of hatred, that it resonates even a few days after performance: one who has been born from the seed of hatred and created alike to the cruel God he worships in Credo: “Credo in un Dio crudel” where “the honest man is a mockery”. Lučić uses all his vocal ability to paint scary, scheming and vile character through staccato and intonation, barking and grunts. He is blending in for each counterpart as genuine chameleon, mimicking the style, thus also showing us his multitude of masks. Another congenial performance! At the stage door after performance that was really a pleasure to meet an artist who appreciates compliments of his fans sincerely and is happy to make as many pictures with them as are asked regardless of being tired. 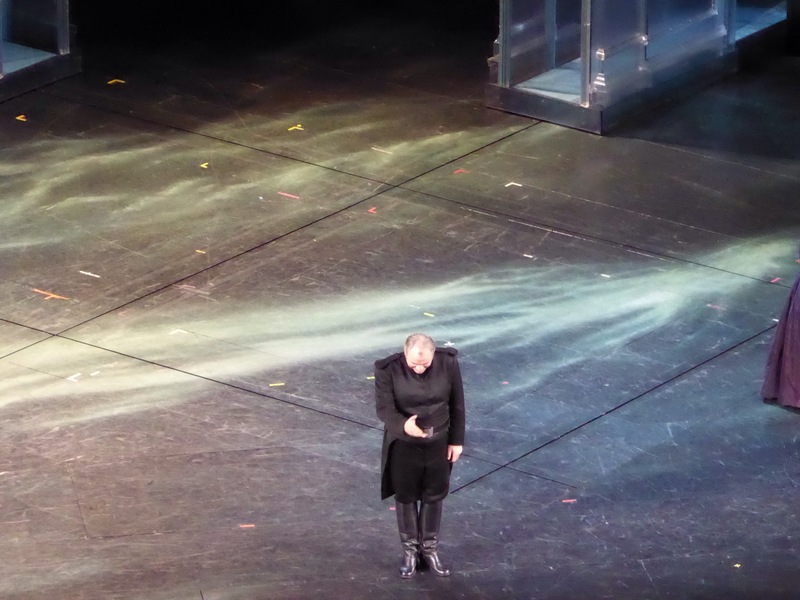 Dimitri Pittas as Cassio has delivered good and stable performance, while he has been in a shadow of main protagonists, the same fate has been for Günther Groissböck as Lodovico. On a critical side just a few remarks for staging as there were a few disturbing moments with use of lightning effects (stroboscope – a few people around got actually frightened regardless of programme note warning) and moving stage elements with a bit of too much interfering noise. Otherwise, it is a great new production launched by The Met worth to see, especially as it comes to HD Series just in a few weeks on October 17th. Get ready to search a savage inside!